CLAD began 2009 as a 3 year NERC-funded knowledge exchange (KE) project hosted by the Universities of Glasgow (School of Geographical & Earth Sciences) and Stirling (School of Biological & Environmental Sciences). It remains active in knowledge exchange in this area but on a smaller scale. CLAD promotes improved understanding and management of carbon losses from terrestrial environments via catchment drainage systems. 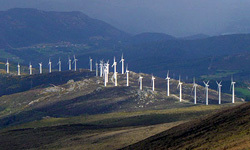 Stakeholders include regulators, developers, consultants and equipment suppliers. CLAD seeks to address the significant shortfall in understanding of the effect of disturbance on carbon losses in carbon rich organic soils and peatlands which can be used to inform scoping and environmental impact assessments. Improves dialogue between groups interested in peatland functioning and management. Disseminates understanding for monitoring carbon export and water quality in fluvial systems. 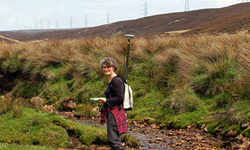 Develops best practise carbon-loss mitigation measures for peatland environments. CLAD promotes improved understanding and management of carbon losses from terrestrial environments via catchment drainage systems. Find out about our aims and network activities. CLAD is made up of a core team of scientists who interact with a wide network of regulators, developers, consultants and equipment suppliers from across the UK.